For more than a century and a quarter, fans of detective fiction have enjoyed the doings of the iconic sleuth, Mr. Sherlock Holmes. In the company of his faithful companion, Dr Watson, Holmes has consistently delighted generations of readers. Created by a Scottish writer and physician, Sir Arthur Conan Doyle, this immortal private eye has solved cases for kings and commoners, lovely damsels and little old ladies, engineers and country squires and a legion of others who come to him in distress and perplexity. The Memoirs of Sherlock Holmes Audiobook is a collection of 11 stories featuring the pipe-smoking, violin-playing eccentric central character. The collection first appeared in 1894 in serial form in The Strand Magazine and then was later compiled into a single volume. The stories featured here include such gems as The Silver Blaze which is about the disappearance of a famous race-horse. This story is memorable for its “curious incident of the dog in the night-time” remark by Holmes. Other riveting tales in The Memoirs of Sherlock Holmes Audiobook include The Adventure of the Gloria Scott – a rare story narrated by Holmes himself. Also there is The Adventure of the Greek Interpreter where we finally get to meet a member of Holmes’ family, his brother Mycroft, who is reputed to have an even sharper brain than Sherlock’s. Additionally, there is The Adventure of the Naval Treaty, with a spy-versus-spy plot. Then there is also The Adventure of the Yellow Face in which Holmes gets it all wrong, and a host of other compelling tales culminating in the story that shook the nation when it first came out – The Final Problem. In The Final Problem, Holmes meets his death at the hands of the evil criminal kingpin, Dr Moriarty. The two engage in a deathly duel at the edge of the Reichenbach Falls in Switzerland and a broken-hearted Dr Watson returns to England, having lost his dearest friend forever. The Memoirs of Sherlock Holmes Audiobook is a collection of unique stories that showcase Holmes’ prodigious intellect, Victorian London, wonderful descriptions of rural landscapes and above all, gems of deductive wisdom. The stories are a fore-runner to many investigative methods that were adopted in police practice later. If you’ve never read a Holmes story before, this could be the start of a wonderful new literary adventure and if Holmes is an old favorite, these stories will only add to the appeal. 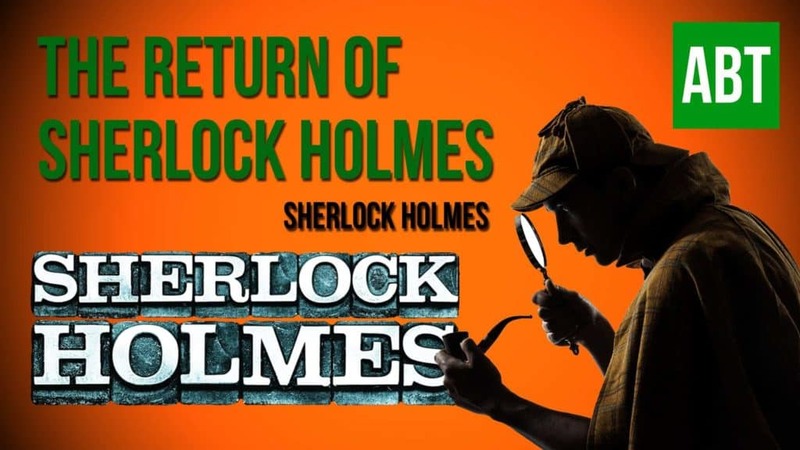 Sherlock Holmes investigates the disappearance of a race horse and the murder of its trainer. A man asks Holmes to investigate the strange behavior of his wife. Sherlock Holmes is faced with a case involving a man that is lured away from his place of business and is caught up in strange activity. While in college, Holmes visits a friend and strikes a tender spot when talking to his friend’s father. This leads him into his investigation of a mystery involving blackmail. Two of Musgrave’s domestic servants disappear after he catches the butler looking at the Musgrave ritual. He asks for Holmes’s assistance in finding them. Holmes becomes involved with a case that involves a robbery of an invaluable assortment of things and then the murder of a coachman of a nearby estate. Holmes calls Watson to witness his last move in a case about the murder of a colonel. His wife is the prime suspect because they were having an argument when he died. A man is found in an unusual business agreement and entreats Holmes for his help. A man comes to Mycroft Holmes and tells him of his strange encounter. Sherlock Holmes then becomes involved because of his brother’s laziness. Dr. Watson receives a letter from an old friend that tells about a treaty that was stolen from his office. Watson refers the letter to Holmes to investigate. A conitnuation of part 1 in which Dr. Watson receives a letter from an old friend that tells about a treaty that was stolen from his office. Watson refers the letter to Holmes to investigate. Holmes arrives at Watson’s home after escaping three murder attempts and a threat from his nemesis Moriarty. Holmes is determined to bring Moriarty to terms in order to uphold justice and make his career.